Yesterday I walked pasted a poster that I hadn't noticed. It wasn't until someone else pointed it out to me that I saw that I actually cared what was on it. 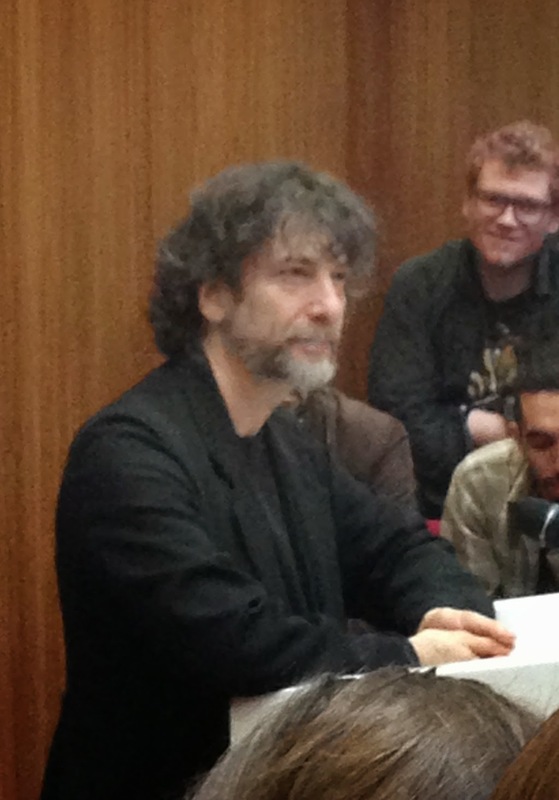 Neil Gaiman was coming to UCD to receive the James Joyce Award from the L&H society. I think I actually physically jumped up and down. Fangirling so hard that I didn't listen to a single thing in lectures from that point on. 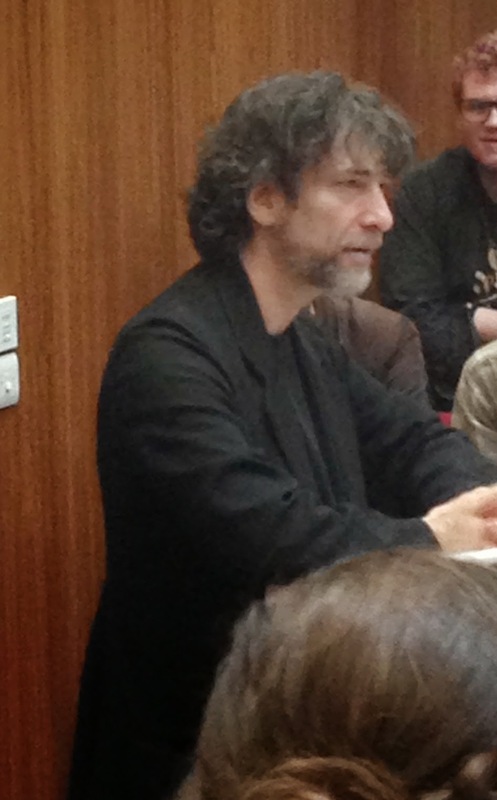 There is nothing more amazing than hearing one of your favourite people speak. Not only because he had the career that I wanted or because he was so funny that I could have listened to him for another hour or so but because it truly was inspirational. I know that everyone says that everyone takes time to really start something, but to hear that it didn't just happen overnight even for someone so talented really gave me hope. More hope than I had felt for a long while- in regards to the writing life anyway. I really could have listened to him talk for hours, I'm glad they gave the man the prize. It was definitely worth facing the 5pm traffic on the way home. I wouldn't have missed it for the world.